Wednesday Words | Phil – Refuelled! Note the time in which Chesterton lived. What’s changed? How many times have you heard (or even said) that expression ‘you can prove anything on paper’ in a cynical way? If you were my close friends, you would know how I say ‘thee’. Perhaps we are like that, sometimes; it is often easier to focus negatively on some mannerism than truly appreciate someone for who, and what, they are. Happily, though, generally, the blogging community is an appreciative one – I have personally felt its warmth! OK, so I’m a sentimental old what-not… But let’s hear it for old-fashioned love poems, now and then! 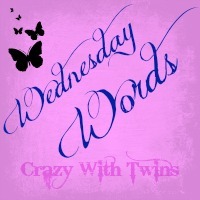 I’ve chosen this one for Wednesday Words, as hosted each week by Emma over at Crazy With Twins. It was written in 1928 as an adaptation of an Italian aria in the opera ‘Tolomeo’ (Ptolemy) by Handel. You can listen to this song here, sung by David Hughes.